Mortons Urban Solutions is a multi-disciplinary consultancy with a core focus in residential land and urban development. We offer Project Coordination, Civil Engineering, and Town Planning services to the land development and property industry. Our experienced staff have a depth of knowledge, skills and established networks with key industry stakeholders. This ensures the best outcomes for your project. Our core company philosophy is to be proactive, innovative, positive and collaborative. This allows us to achieve optimal development and commercial project outcomes for our clients whilst operating with the highest standard of integrity and professionalism. We’re able to provide input at all stages of a project from inception and preliminary feasibility through to project delivery and/or completion. Clients of all sizes benefit from our combined experience: from small individual landowners and/or developers right through to large-scale developers. We also work closely with specialist consultants in the development industry (town planners, urban designers, engineers, landscape architects and environmental consultancies etc) along with civil contractors and other development related professionals. 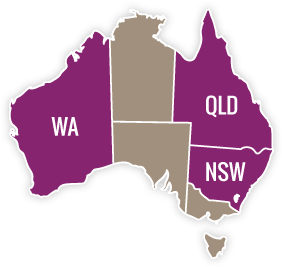 Established on the Gold Coast in 1991, our strong client base has seen us expand our services to also include offices on the Sunshine Coast and in Perth. In addition to three Company Directors, our team consists of over 25 full-time staff: civil engineers, designers, draftspersons, town planners, project managers, property economists along with highly experienced financial and administration personnel.